Should a Realtor let home buyers discover the market for themselves or give them a reality check? Note that this piece is written from the perspective of Seattle real estate, one of the hottest real estate markets in the country similar to places like San Francisco, New York City, Boston and Denver. Even during the post-bubble years, there was still competition for homes and as in any market, the best homes that are priced properly will always generate the most buyer attention. Not unexpectedly, if you gave Realtors a choice which set of buyers they would rather work with, almost all will grab Mr. and Mrs. Informed buyer versus Mr. and Mrs. Day Dreamer. in terms of preparedness, home buyers fall into two groups. Have been pre-approved for a mortgage before they contact a real estate agent. Have read up on the home buying process but are willing to listen to advice. Have new listing alerts set up on their smart phone. Asked their fiends for Realtor recommendations, screened them online, then interviewed them. Done their budgeting homework. Know how much they can afford after paying off their monthly bills and have an emergency fund to cover unexpected periods of in-between employment. Have been following the market, spoken to recent buyer buddies and co-workers about their experiences and have a realistic grasp of what is currently happening. Going in eyes wide open. Have a top 5 wish list but will be happy to get 3 of them. Know which neighborhoods they want to buy in and what type of home they want to buy but are flexible on both if needed. Know going in that they may have to waive some contingencies and likely pay above asking. In my experience, these kinds of buyers may miss out on their first home but usually get the 2nd one they make an offer on. Have a vague idea as to how the home purchase process works and haven’t done much advance reading up on the subject. Not pre-approved for a mortgage when they call a Realtor. Has a wish list with 10 items on it and is expecting to get all 10 of them. May add a couple more later for good measure! 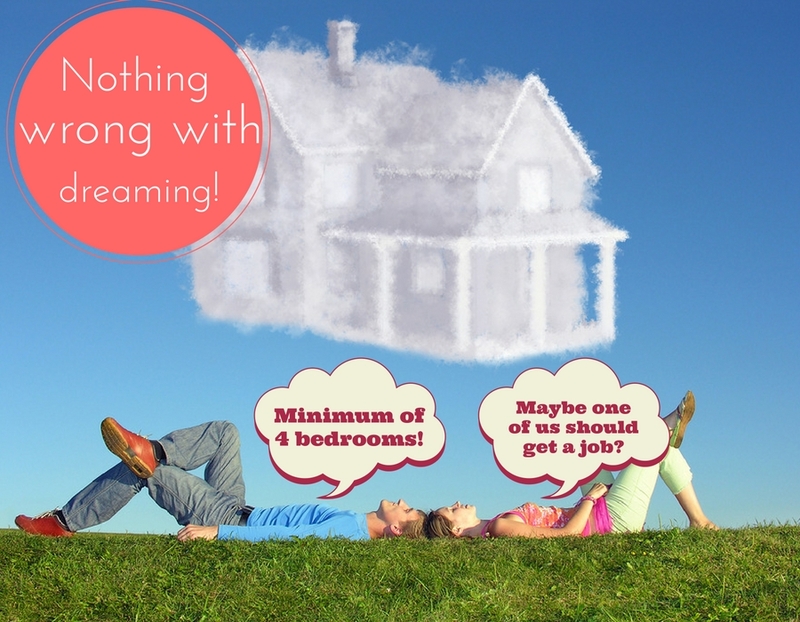 Wants to buy a 4 bed house when their budget only allows for a 2 bed condo. Will send their agrnt homes from a huge radius area of all shapes and sizes (and prices). Drifts in and out of real estate consciousness. Less focused. 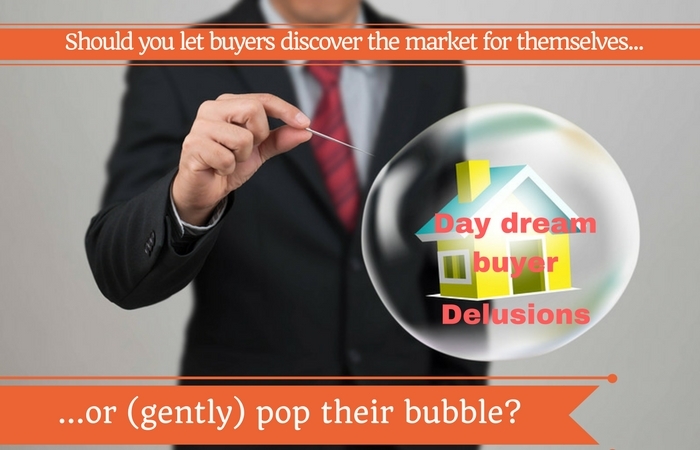 Uninformed buyers are more likely to succumb to the 6 most common ways buyers fail in their quest to purchase a home. Yes, I admit it, as will every other Realtor out there, these buyers can become a major consumer of your time, you will add lots of mileage to your odometer and you will end up with lots of Starbucks receipts. But despite all that, they can be some of the most fun buyers to work with. There are both pros and cons to letting buyers discover the market for themselves versus giving them a reality check on day one. The advantages of letting home buyers discover the market for themselves. Sometimes, it’s just better to experience something first hand rather than it being explained to you. It’s not as if the Realtor is not telling someone “don’t pet the rattlesnake!” If a buyer misses out on a home and learns a lot in the process then it’s been a useful exercise. An emotionally painful one for the buyer, but still a great educational process and they will be better prepared for the next home. The buyers are less likely to think their agent is just an inconsiderate individual looking for a quick sale where they have to pay the maximum price and take additional risks just to get the home. Buyers become toughened up, learn what the market is really like and adapt accordingly (some faster than others). Buyers (eventually) become realistic about what type and size of home they can afford and which neighborhoods are within their budget. Buyers will feel like they are more in control of the process rather than being told what they might need to do. Buying a home is a huge commitment and many buyers will feel more comfortable when they are the ones making the decisions. However, whether those are informed decisions or not will depend both on their agent and how much the buyers are willing to listen to, and take advice. Buyers might come to the realization that right now might not be the right time for them to buy. Nothing wrong with renting a while longer. Will drastically reduce the amount of time it takes them to find and win a home rather than spending months getting outbid when looking for homes for sale in Seattle. They are a lot less likely to miss out on some great homes and not end up kicking themselves later. Plus, they will learn how to avoid first time home buyers remorse. Will avoid getting left behind in a hot marker. In a strong sellers’ market, prices can go up quickly and if the buyers spend too much time making bad offers and refusing to do what’s needed to be the winning offer, they will later have to (a) pay more for the home or (2) become priced out of the market for the type of home they were hoping to buy. Interest rates can go up and effect their buying capacity. For every 1% mortgage rate increase, a buyer can afford approximately 10% less home. Prepared buyers will have realistic expectations on how long it takes to look for a home and shop for a loan. Informed buyers will know from day one what they need to do to make their offers competitive for the particular neighborhood / prevailing market conditions. If it’s a hot market and homes are getting multiple offers they will know up front that they may have to pre-inspection the home, maybe waive some contingencies and most likely pay above asking. Meanwhile, the unrealistic buyer after missing out on a few homes, will eventually start doing pre-inspections (including a sewer scope) but then turn around and only offer the list price and refuse to escalate from there. That’s like throwing hundreds of dollars they just spent on those inspections down the same sewer line. That gets expensive really fast and is what usually pushes this kind of buyer to finally step up and do what’s needed to compile a winning offer. Forewarned buyers know when to pick their battles and when to walk away. There’s already 5 other offers and 3 pre-inspections and they're already at your max price. The prepared buyer will know just to walk away, go for a couple of beers and fight another day. If the buyer’s budget upper limit is $500,000, they will know that they will need to leave to some bidding room and are better off looking at homes up to say $475,000 (unless there are no other offers). Way less emotional toll. Stress is an unavoidable part of the home buying process. Trust me, the sellers are just as stressed out. However, there’s no point making it any more stressful than it needs to be. I’ve met buyers at open houses bordering on depression because, over the previous 12 months, they have lost out on a bunch of homes. They keep putting themselves through the roller coaster ride of hope and disappointment. Even in a strong market, nobody should miss out on 8,9,10 homes. Either the buyer is delusional or they are getting bad advice from their agent, or both. Sometimes a buyer just needs to hear “YOU WILL NOT GET THE HOME IF YOU MAKE THAT OFFER!”. If the buyer is informed and market savvy they will trust their Realtor and know they have their best interest at heart. 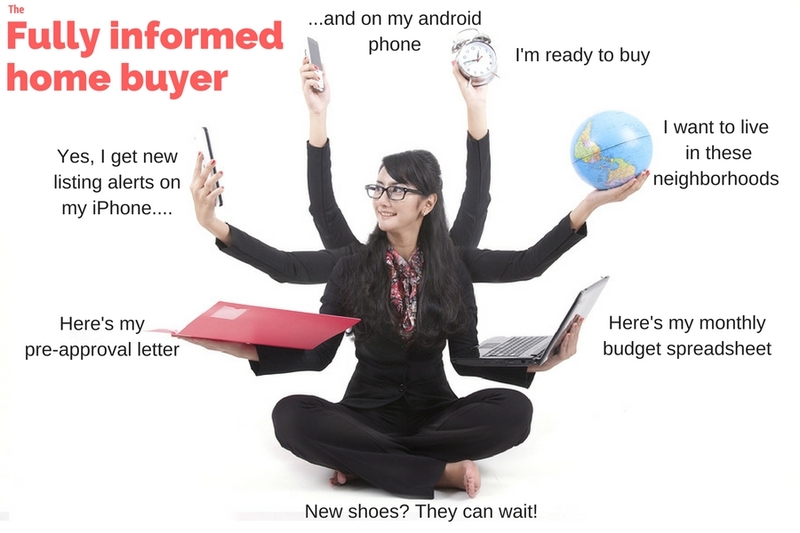 The uninformed buyer will just think you are pushing them to up their price for more commission and a quick sale. So, what do I do with my new home buyer clients? Previously, when it was more of a buyer's market, I did a combination of a lighter reality check / "discover for themselves" combination. 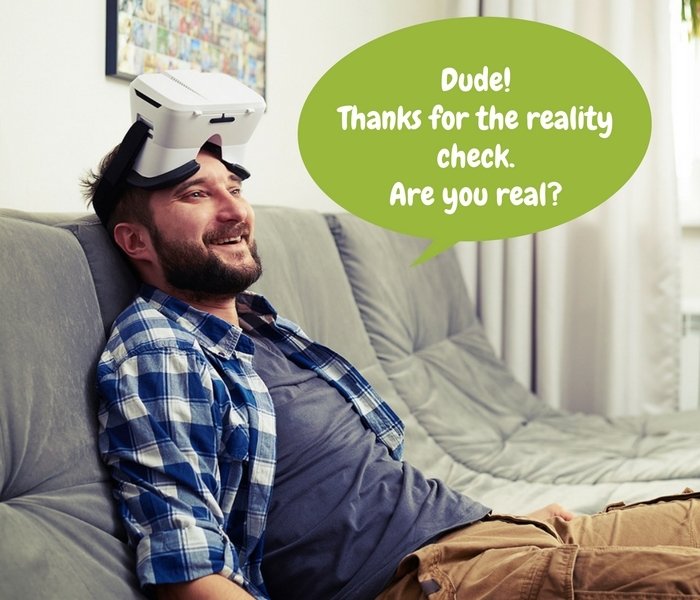 But today, in this hot seller's market, when I meet a new buyer wearing a real estate virtual reality headset, I grab those puppies right away and put them someplace safe so the buyer doesn't hurt themselves. I will: (1) show buyers current market statistics demonstrating how both home prices and housing inventories are trending and (2) review a sample offer with them BEFORE going to see any home so they are familiar with the offer process and which contingencies they may have to be flexible on when it comes to multi-offer situations. The vast majority of buyers will say something to the effect of: "Wow, that's a little scary but thanks for giving it to us straight. It's good to know what we might have to do to get a home in this market". And if they don't run screaming for the horizon, they will do just fine. 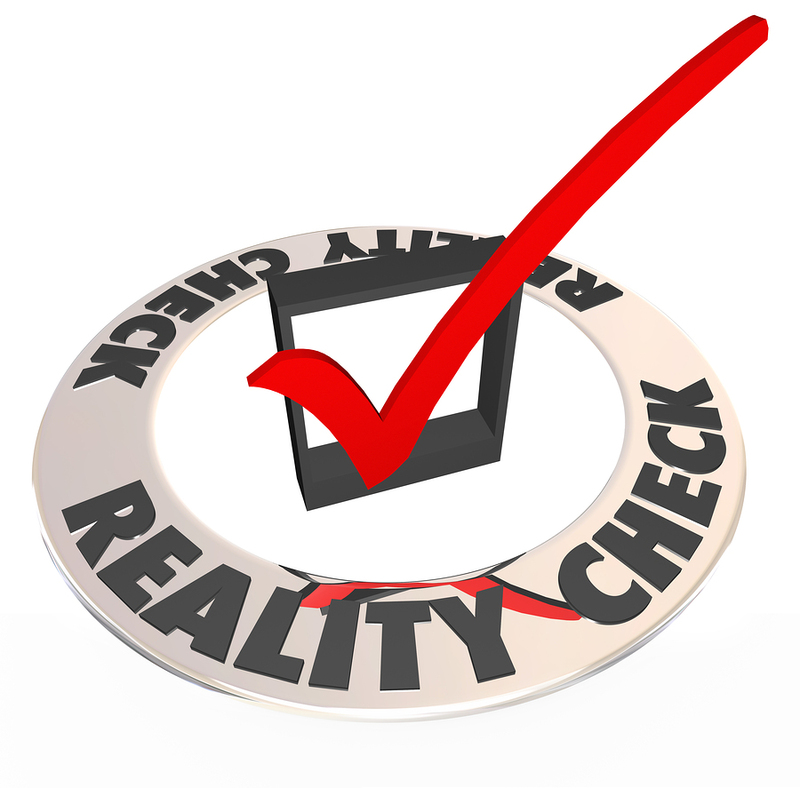 However, I have noticed over the past 2 or 3 years that more and more buyers are of the informed variety and fewer are needing a hard reality check. Long may it continue in that direction. 16 Experts share what NOT to do when buying a house from Ryan Fitzgerald.